The French call it Le Foulard. Doesn’t that just sound lovely? Everything sounds lovelier and full of magic in french! Le Foulard. Let your guttural “r” at the end just be whispered (the “d” is NOT pronounced) and you have it! Le Foulard. 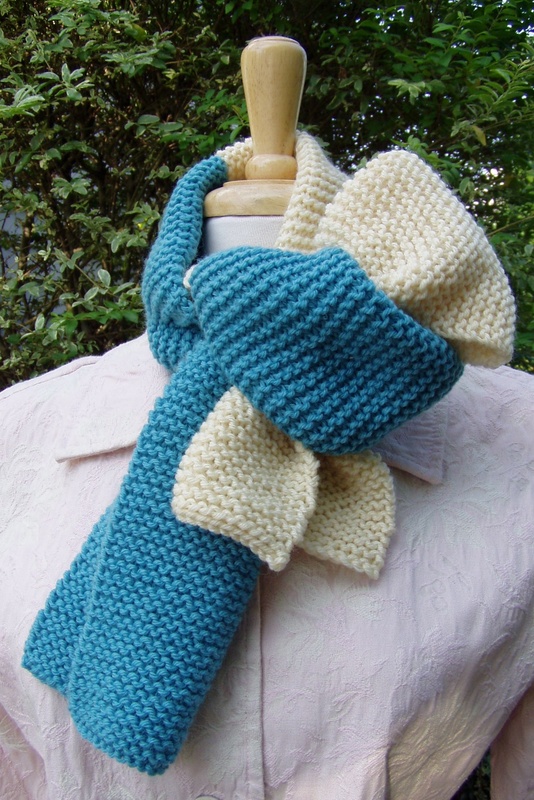 Well, that’s what we have here…a lovely, yet very simple scarf for you to be knitting. CLICK BLUE WORDS TO DOWNLOAD PDF. These are only a few ways you can tie your scarf. So many possibilites, so much versatility! In the upcoming posts, I’ll show you How-2 create all the variations listed in the pattern. 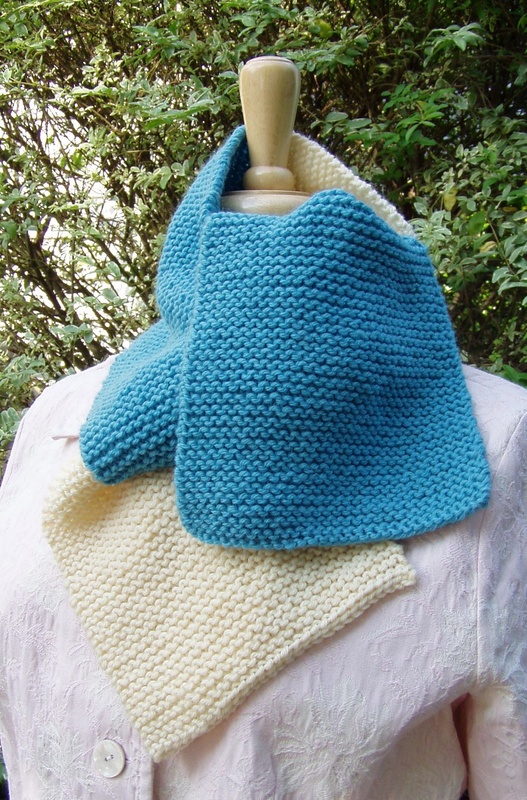 You have now, CONTAINED IN THIS BLOG, everything you need to complete this simple scarf. 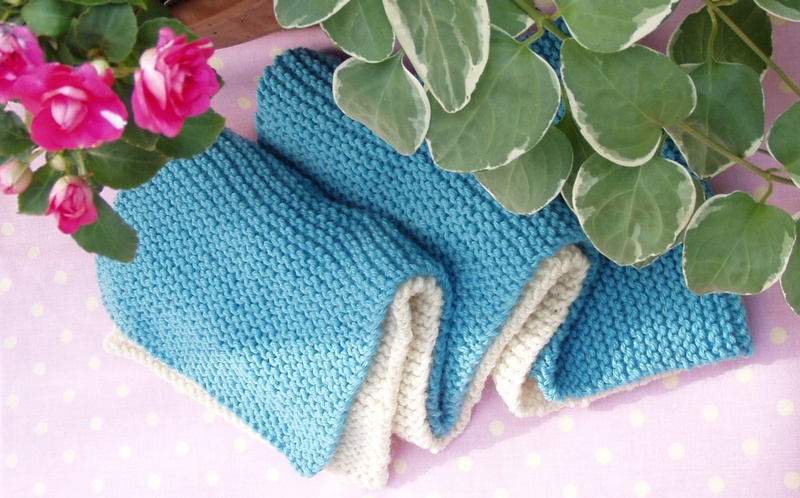 There are tutorials for how-2 cast on, knit, change colors, bind off, and weave in ends. 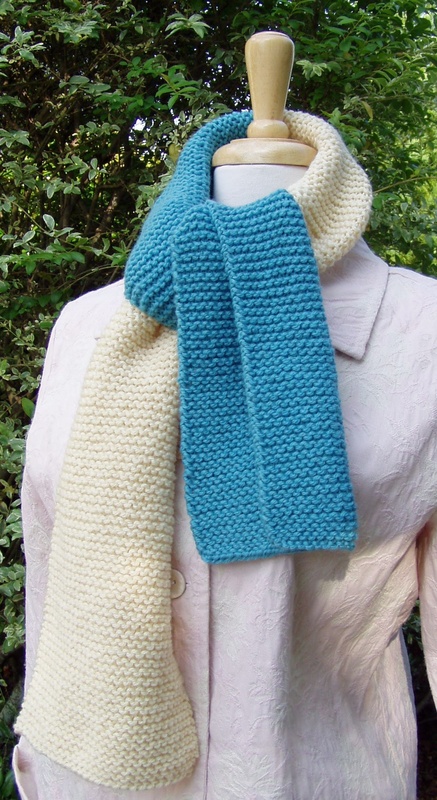 It’s the one-stop-spot for all you need to knit a scarf, and eventually for everything you’ll need to create SO MANY things out of scarf-like pieces of knitting and crocheting. Yes, crocheters, I WILL get to you. Just hang in there. 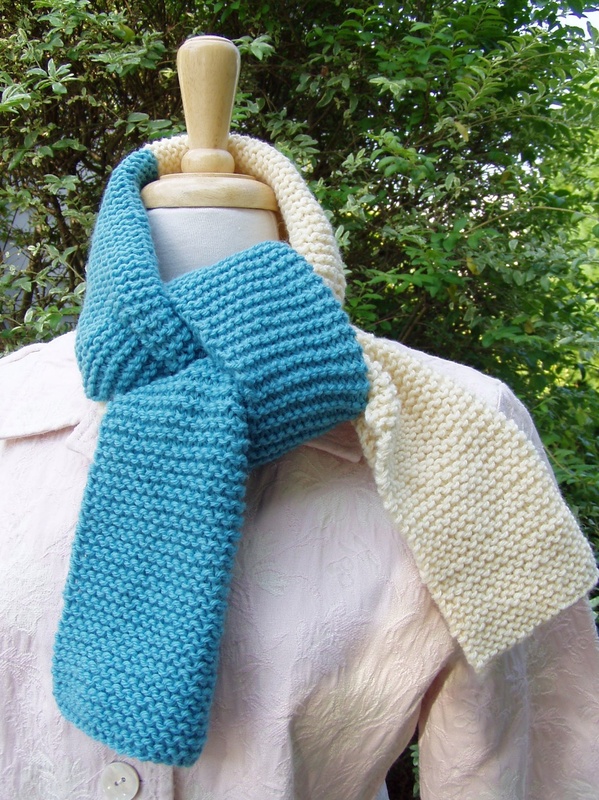 AND, consider variations on your scarf: make it into a Pocket Scarf, add Fringe, Flowers, and other Embellishments. Click on each highlighted word to view photo tutorials. When you’ve finished your scarf, I’d love for you to take a PICTURE and put it on our Group Flickr Site, which you can also access in the right-hand margin. Let’s all share our projects to inspire each other.